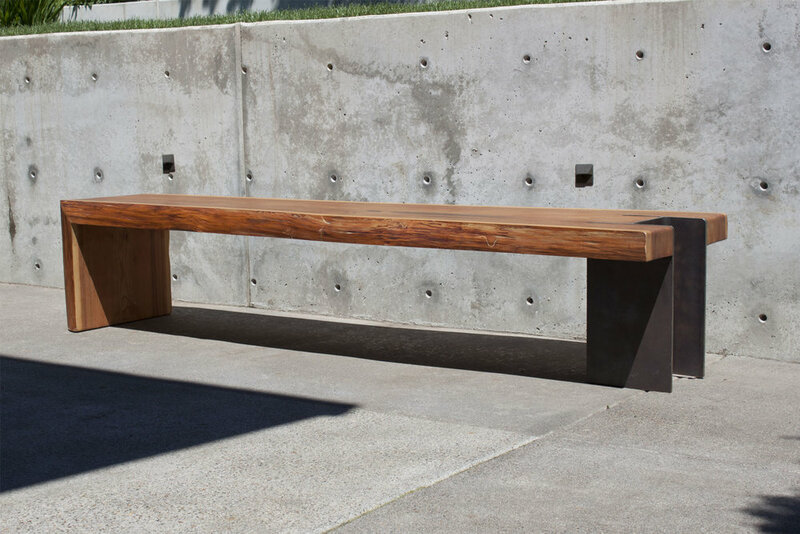 This elegant wood bench gets its name from a reclaimed steel piling that both pierces and supports the seating surface. 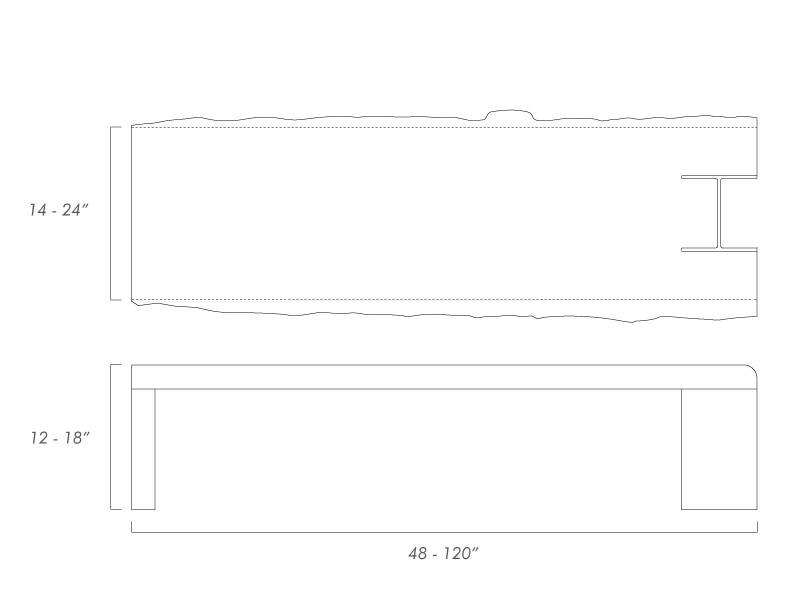 At 10 inches square and 42 pounds per foot, the rustic steel I beam is cut and polished to contrast with the warmth of a live edge slab, and appears both strong and delicate with a folded waterfall leg opposite the steel beam. This piece is customizable in length, width and height, and is available in double live edge, single live edge, and double cut edge designs, in Cedar, Fir, and Walnut. This is a made to order item, please contact us for additional ordering information.